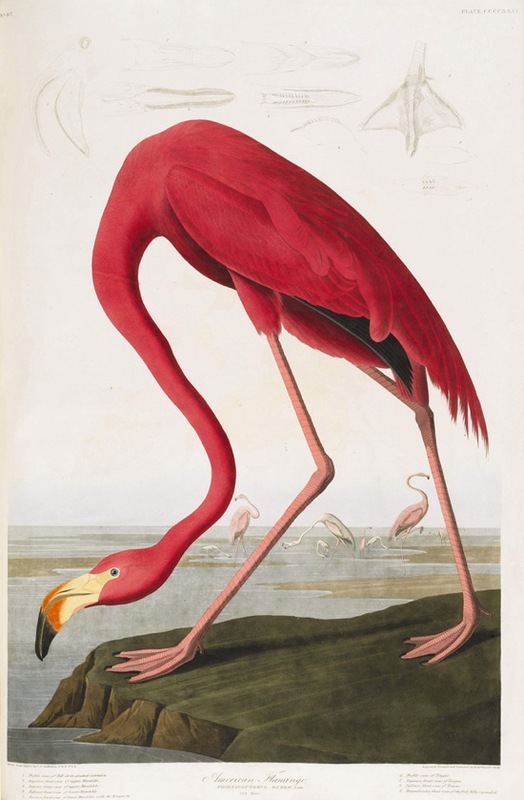 Bird watching is not necessarily considered to be a glamorous topic, depending on who you are asking of course, but that hasn't stopped James Audubon's classic book; Birds of America, pulling in glamourous prices at auction. James Audubon was a French-American ornithologist, naturalist and painter who was born in 1785. He famously depicted, catalogued and described the birds of North America in a way that had not previously been known. His work was detailed and comprehensive, yet equally emotive in how he depicted the various birds; attempting to capture their character as well as their physical features. Audubon took his portfolio of over 300 works to England in 1826 where he gained a lot of attention and was able to raise enough money to publish his works as a book. The book itself it enormous, containing 435 hand coloured prints of 497 species of bird found in North America. The birds were engraved onto copper plates and then printed on sheets of paper measuring approximately 39 x 26 inches. There are thought to only be 100 copies of the book that remain, and one of those copies was sold at Sotheby's this Tuesday for £7.3 million ($11.5 million). This truly stunning amount makes Audubon's Birds of America the most expensive printed work sold at auction. The last time that the book set the same record was ten years ago when Sheik Saud al-Thani of Quatar purchased the book at Christie's for $8.8 million. For those of us who are unlikely to get our hands on the genuine article, you can pick up a sizable replica of the book, which was reprinted by the Abbeville Press. Birds of America is a great book, with some truly stunning images.